The light outside has been dim lately, the sky and land painted in various shades of gray. 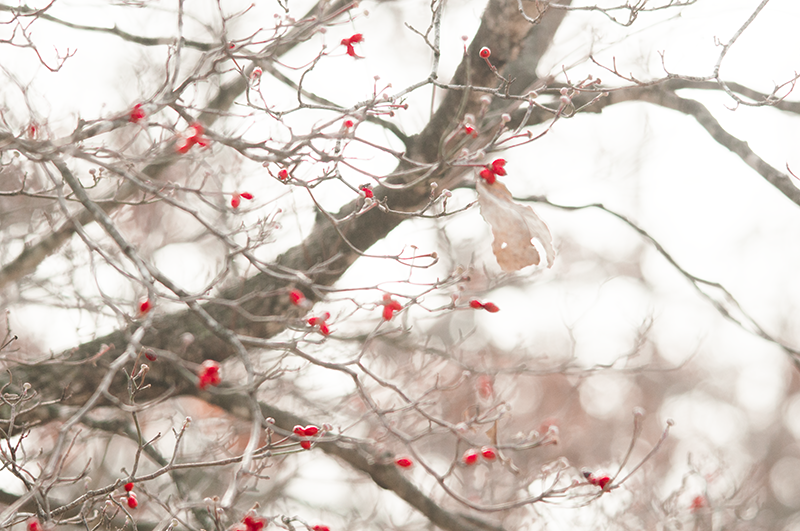 still clinging to the trees, serve as beacons to the wildlife. A pileated woodpecker came back yesterday morning for a berry breakfast. but with more color, and none of the irritating habits. We see them here occasionally. but this was a rare opportunity to watch one up close. very fitting for the largest known surviving member of the woodpecker family. although if any of you have seen one lately, we hope you'll post it on your blog. Word verification keeps appearing on my comment page, even though I have it turned off. If you'd like to comment, I believe you can ignore it and post one anyway. he doesn't look as big as a crow, (i'm sure he is though) but boy is he sure beautiful and your images are wonderful. What great to see this amazing colored and special bird. Wonderful how you've photographed hiim. Well done!! Those are awesome! Beautiful woodpecker! If someone does photograph or even see the Ivory-billed, they'll be getting more attention than they bargained for! That would be huge news. Awesome photos. 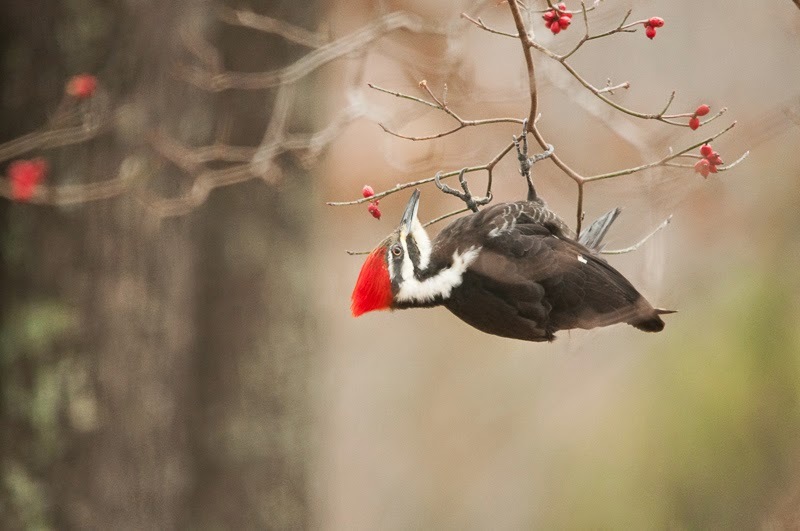 I have never been that close to a Pileated Woodpecker...but I sure would love to be! I have a pair of Pileated Woodpeckers who live in the surrounding woods. They stay hidden for the most part but make appearances regularly enough so I know they are still around. I posted a shot today as well. Your photos are lovely! Love the berry shot as well. What a beautiful series of photos. That gray sky with those delicate berries make these beauties a frameable piece of art. Congrats on this amazing bird sighting! Super images of this stunning species. 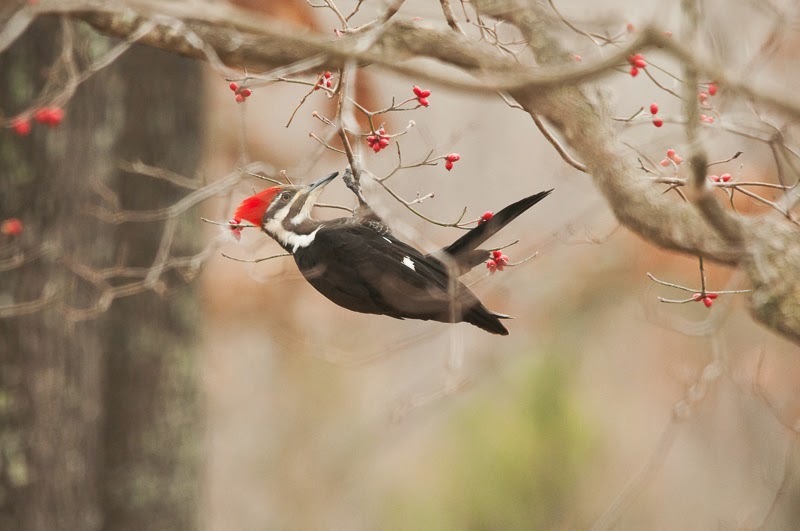 Beautiful shots of the woodpecker and berries! Oh golly these are beautiful, I love this woodpecker...sometimes I spot them on my walk here on the gulf coast of Texas. 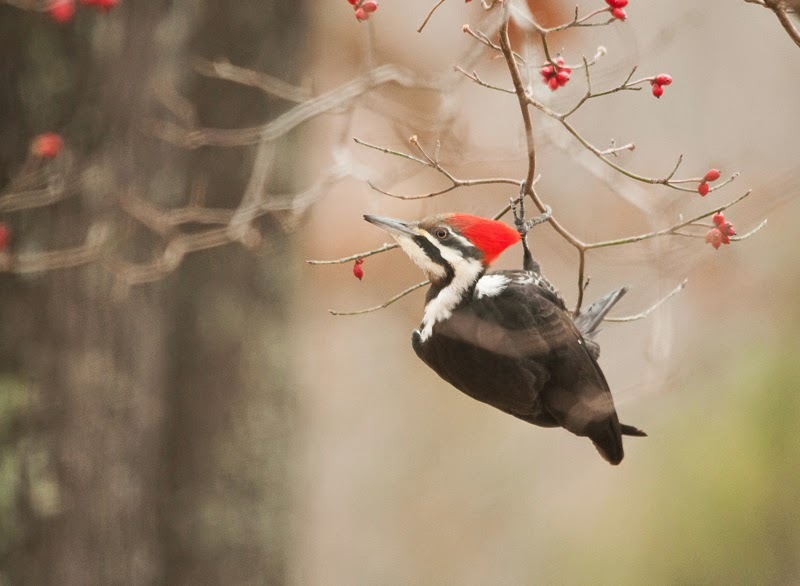 Just beautiful-images and the woodpecker. These are just beautiful shots...the simplicity of the background is just beautiful with the bird center stage. And yes, he is huge! Superb looking birds and images. The Pileated is a great bird and always a treat to see one up close.. Awesome photos! Have a great evening! Wonderful shots! How lovely to get to watch him for so long. Have you read Ghost Birds by Stephen Lynn Bales? I used to have it on my sidebar for nearly two years, with a link to Bales's blog but finally removed it. Great book about the quest for the last of the Ivory Bills. I'm convinced there will be NO sightings...sadly. Awesome captures- would love to see one of these close up. Superb images of a beautiful bird. 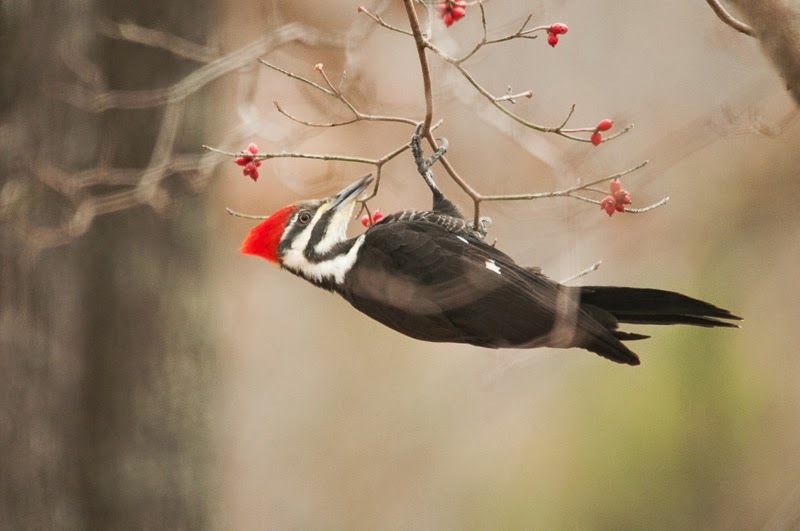 I regularly see a pileated woodpecker high in the trees of our back yard. This morning he was on the ground for a few seconds. I hope to one day get a few good close ups of him. Love these! Fabulous shots of the PW, he's so cute hanging upside down. 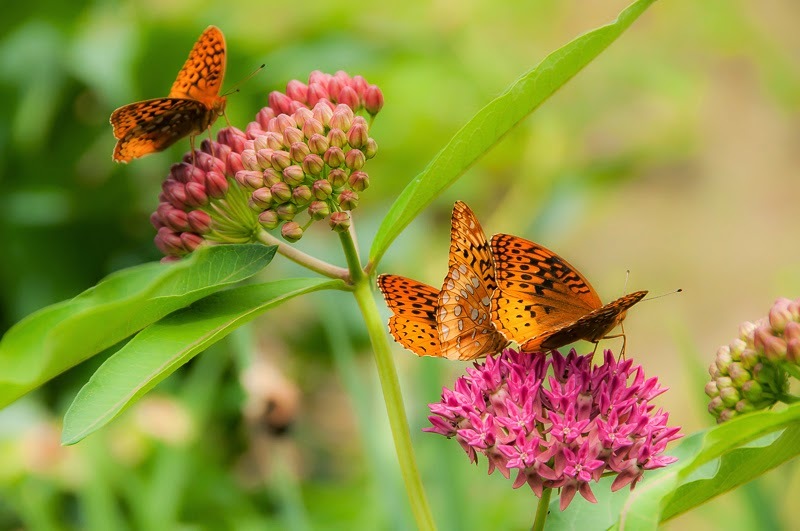 I have them in my yard but see them mostly when they are eating my apples or elderberries, and would need to photograph them from a distance with a tripod. Gorgeous birds! I love the red hat. Wishing you a very Merry Christmas, and a bright and beautiful New Year, Connie. One of my favourite birds! Been lucky enough to see a few on my trips to the USA - now an Ivory Billed would be a good bird to start the year!